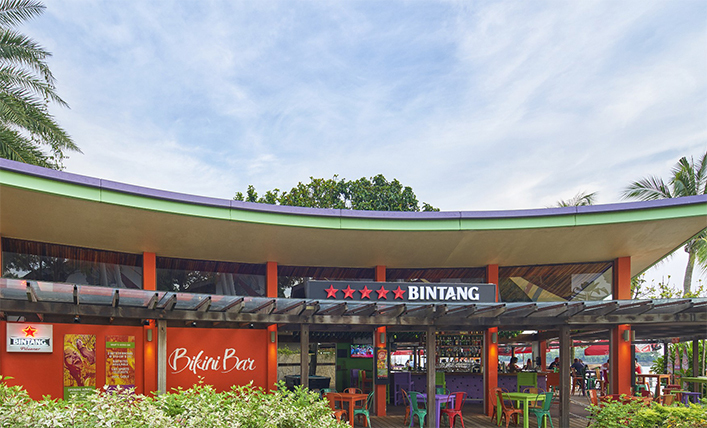 Bringing the likes of Bali beach bars to our shores, this upbeat and vibrant beach bar boasts a wide range of ice-cold beers, cocktails and radio friendly tunes. Buzzing with life on a sunny afternoon all the way till late night, Bikini Bar is the place to let down your hair and strut your beach bods. Whether it’s catching live sports, lazing the afternoon away or simply playing some beach games, Bikini Bar has it all! Enjoy Beerkini Rocks beach party quarterly with great beer promotions, beach games and bikini babes! Life’s a Beach at Bikini Bar! © 2018 Bikini Bar. All Rights Reserved.